Reposing at her home (H65DR60) on Friday evening, April 12 from 5 pm to 7pm. Arriving on Saturday, April 13 to the Church of The Assumption, Athenry for Funeral Mass at 12 noon. Burial afterwards in the New Cemetery, Athenry. Family flowers only by request. Donations, if desired, to Galway Hospice. House private Saturday morning. Rest in Peace. The death occurred, peacefully, in the company of her loving family and the caring staff at the Midland Regional Hospital, Mullingar, on Wednesday, April 10 of Martina Cummins (née Kelly), Prospect Avenue, Mullingar, Westmeath, late of Crookedwood, Co Westmeath and Ardagh, Co Longford. Predeceased by her husband Brendan and her infant son Patrick. Martina will be very sadly missed by her devoted son Leonard and daughter Victoria; her adored grandson Frank Brendan, daughter-in-law Shirine, Victoria’s fiancé Aengus, sister Mary Catherine, brother Gabriel, mother-in-law Maureen, sisters-in-law, nieces, nephews, extended family, neighbours and many friends; especially her former work colleagues at Belvedere House. May Martina Rest In Peace. Reposing at Gilsenan’s Funeral Home on Thursday, April 11 from 6pm concluding with evening prayers at 7.30pm. Funeral Mass on Friday, April 12 at 10am in the Cathedral of Christ the King, Mullingar followed by burial in Ardagh Cemetery. ‘Reunited with her beloved Brendan’. The death occurred on Monday, April 8 of Christopher (Christy) Kiernan, 1 Camlin view Ballinalee and late of Aughkiernan, Aughnacliffe, Co Longford, peacefully at St Joseph's Hospital Longford. Predeceased by his sisters Anna and Millie,brothers Barney and Eamon. Deeply regretted by his brothers Brendan and Frances, Nieces and nephews relatives and friends. Removal from his home in Ballinalee on Thursday evening April 11 arriving at St Joseph's Church, Purth at 7pm. Funeral mass on Friday, April 12 at 2pm. With burial in Granardkill Cemetery Granard. Family flowers only please. Donations if desired to St Joseph's Hospital patient hospital Patient comfort fund c/o Farrell’s Funeral Directors or any family. 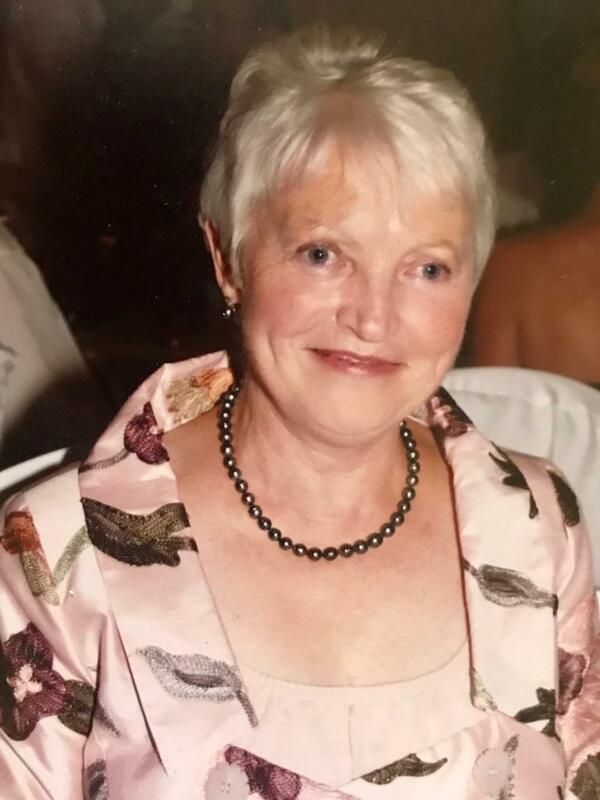 The death occurred on Wednesday, March 27 of Elizabeth Dempsey (nee Cunningham), Ealing, London and formerly Ballymahon, Longford. Deeply regretted by her sisters-in-law, brothers-in-law, nieces, nephews, grandnieces, grandnephew, relatives and friends. Funeral Mass on Thursday April 11 at 11am in St Matthew's Church, Ballymahon, followed by burial in Forgney Cemetery.